Modern Luxury with easy beach access! Beautiful modern luxury meets beach life! This gorgeous 2-bedroom, 2.5-bath, 1500-square-foot home is less than a five-minute walk to Playa Hermosa, one of the most beautiful beaches in the Southern Zone of Costa Rica - the name literally means "Beautiful Beach"! Enjoy the pristine splendor and warm waters of this beautiful Pacific beach. Known for great surfing, natural beauty, and the safety provided by a regular team of lifeguards so you can enjoy peace of mind while your family frolics! Enjoy the panoramic ocean views and beautiful sunsets every day that most people only dream about! While you're at the beach, keep an eye out for all of the amazing wildlife in the area - toucans, sloths, and monkeys abound! The open-concept living area leads from the cozy living area into a large dining area with seating for six, and flows into the fantastic chef's kitchen! Stainless-steel appliances, granite countertops, a kitchen island with ample workspace and breakfast bar, and accented by beautiful glass mosaic tile for a polished look! Huge sliding glass doors open wide from the living area into the courtyard, which includes a patio area and large tiled pool. Seamless indoor-outdoor living - Costa Rica at its best! The courtyard area is totally private and secluded with walls and hedges. Enjoy your morning coffee, afternoon swim, and evening glass of wine in your own peaceful oasis! The property is immaculately manicured. The home is in a gated community. There is also a large community pool, with additional amenities planned for the future! Located just a few minutes north of the town of Uvita and 10 minutes south of the town of Dominical, you have easy access to everything! Restaurants, supermarkets, banks, doctor's offices, a veterinary clinic, and more are just a few minutes away, as are world-class surfing, beaches, waterfalls, music festivals, ziplining, and whale watching! This area truly has it all! This region is part of the Osa Peninsula, which has been called "the most biodiverse place on Earth," and beautiful beaches, verdant jungle, and exotic wildlife are at your doorstep! If you love luxury and convenience, but dream about living the beach life, you've found your place! 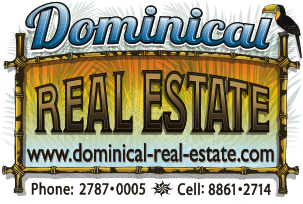 Contact us today to see this stunning home and make your Costa Rica dream a reality!